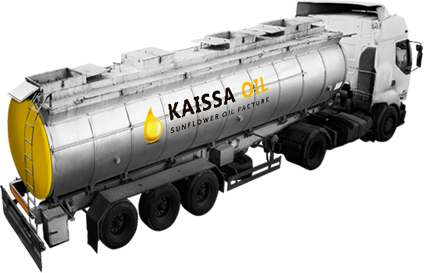 Manufacturer factories “KAISSA”, unite such companies as Processing factory of oil “Verkhneserogozkiy PFO”, Factory of desodorization and refining LLC «VVVV», Factory of bottled oil LLC “ SUN LIGHT”, produce and distribute refined and unrefined bulk sunflower oil. Our companies sell bulk sunflower oil, for all regions of Ukraine, and export deliveries for CIS countries. To transport, oil packed in plastic PET containers or larger volumes and bottled in special flexi tanks (cisterns). All manufactured products, meets all the requirements of “National Standard”. We work only with natural and proven, eco-clean Ukrainian raw materials, which is quality controlled in our laboratories. Our powerful technical equipment from leading Western manufacturers, allows to produce large amounts of draught sunflower oil, as well as cooperate with large partners. Buy sunflower oil in Ukraine from the manufacturer “KAISSA”, wholesale or retail, contact our managers, and they will offer you the most favorable conditions co–operation with us.